TangierTaxi offers punctual, professional and comfortable private transfers from Marrakech to Casablanca for all types of travellers - from solo travellers to large groups of up to 14 passengers. Our vehicles are always private, providing you with the space and flexibility to relax during the 3 hour drive from Marrakech to Casablanca. Our professional driver will pick you up directly from your hotel in Marrakech - if it is inaccessible by car then the driver will arrive on foot and bring you to the vehicle. 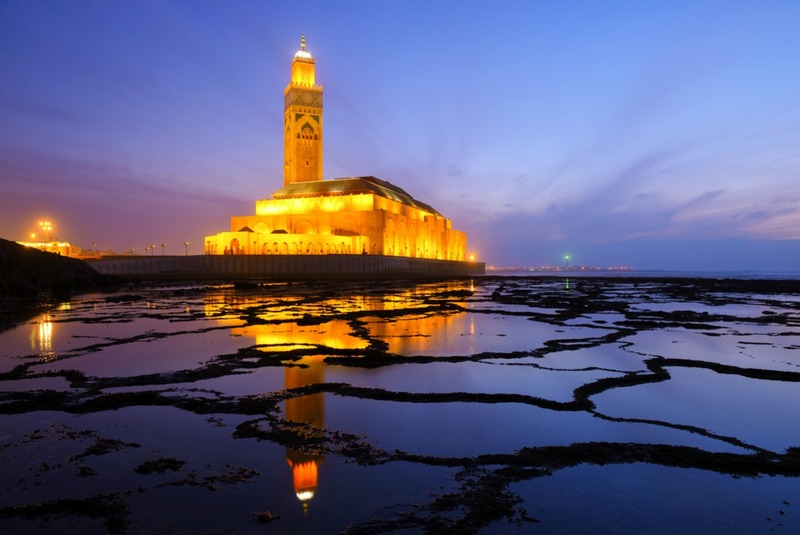 Upon arrival in Casablanca, the driver will take you directly to your chosen drop off address. You can also indicate that the pick up or drop off address will be at the airport. There is no additional charge for airport pick ups or drop offs. The A7 highway connects Marrakech to Casablanca. This is a major highway and is well-maintained, greatly reducing the travel time between the two cities (door-to-door in just 3 hours). With TangierTaxi, you will always have a private vehicle and driver. You won't have to share your vehicle with anyone else, so you are free to dictate the schedule and pick-up/drop-off addresses. Bottled water is always provided free of charge for all passengers on our transfers from Marrakech to Casablanca. Free WiFi is available in most of our vehicles, but cannot be guaranteed. During your transfer from Marrakech to Casablanca, you will notice a distinct change in landscape as you cross the Oum Er-Rbia River. Marrakech is located in a desert environment, which is a big contrast to Casablanca which is much greener and is located on the Atlantic coast. 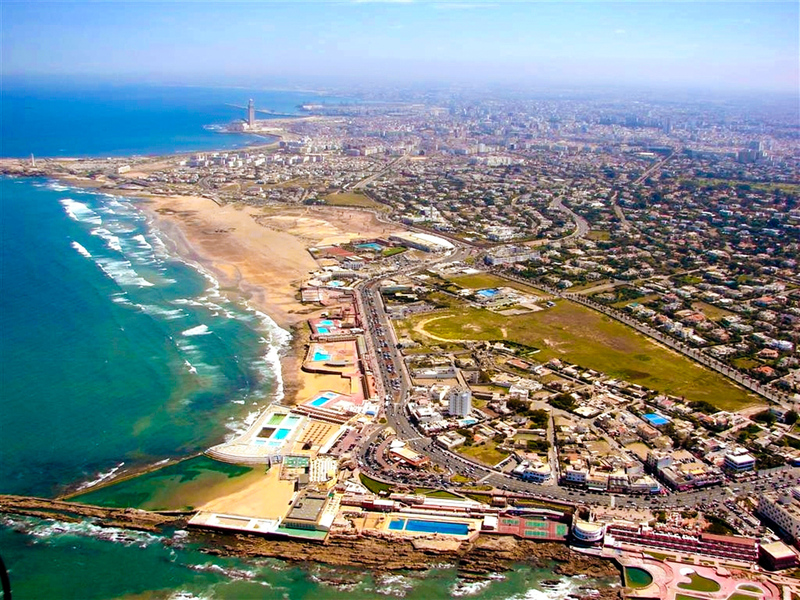 As a result, Casablanca is often much cooler and more comfortable than Marrakech, especially in the summer. 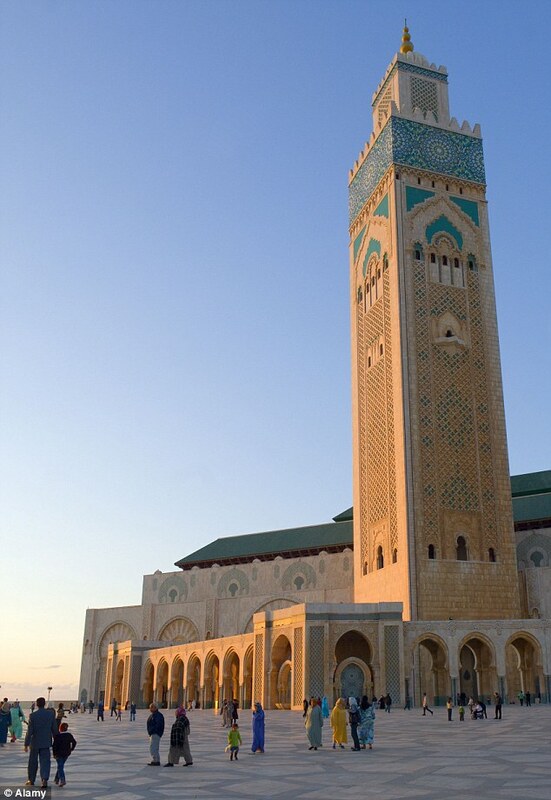 Marrakech to Casablanca transfers with TangierTaxi start from €139 for a maximum of 2 passengers. All of our prices are without hidden fees or charges. Our prices are quoted per vehicle, not per passenger. Free bottled water is included in all of our services. Free WiFi is also available in most of our vehicles but cannot be guaranteed.